Cavalor Hepato Liq is an ideal supplement for supporting your horse’s natural detoxification process. It plays an important role in the regeneration and protection of the organs responsible for detoxification. It can also help to reduce their workload by stimulating natural substances in the body, such as bile salts, which are critical to digestion and absorption. 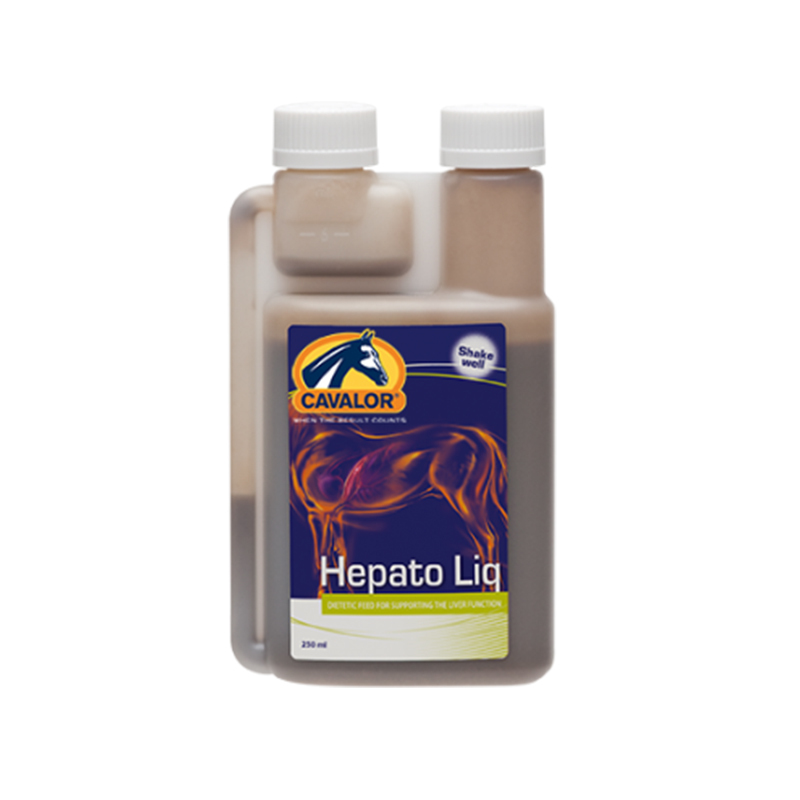 Cavalor Hepato Liq is particularly suitable for competition horses with a heavy schedule. We recommend supplementing them with Hepato Liq during rest periods or following a period of intense exercise, to assist the cleansing process and enable them to absorb nutrients more effectively. Cavalor Hepato Liq contains natural herbs, antioxidants and amino acid compounds and has been specifically developed to ensure all the ingredients are easily absorbed. It does not contain any FEI prohibited substances and Cavalor guarantees complete traceability of all raw materials. Every batch is sent to the Cavalor laboratory to ensure they are of the highest quality and meet safety standards. Give 5mls morning and evening sprinkled in the daily feed for one week. If necessary, this can be repeated at intervals of 25 days and can be given at the same time as other supplements. The maximum dose per animal per day is 20mls. Available in 250ml or 2L bottles.